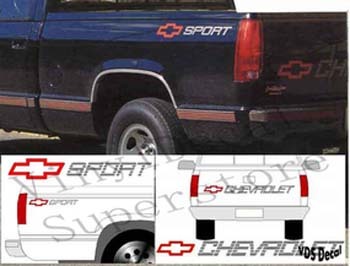 Bowtie-SPORT side decals measure approximately 3" x 26" overall. You get a pair of side decals. The kit has RED rounded bowtie WITH SILVER SPORT & RED rounded bowtie with SILVER CHEVROLET letters - just like the original lettering.